Thanks for the latest layout pack for Divi. They keep coming, just like clockwork. It would be very nice if you could continue to let us have improvements to the Divi theme itself; seems like a long time since the last upgrade? How about layouts for Pizzeria, Winery, Brewery? I am new in website development industry. I really need to find out catchy yet easy design themes. These are best fits for me. how many golf Course do you know??? 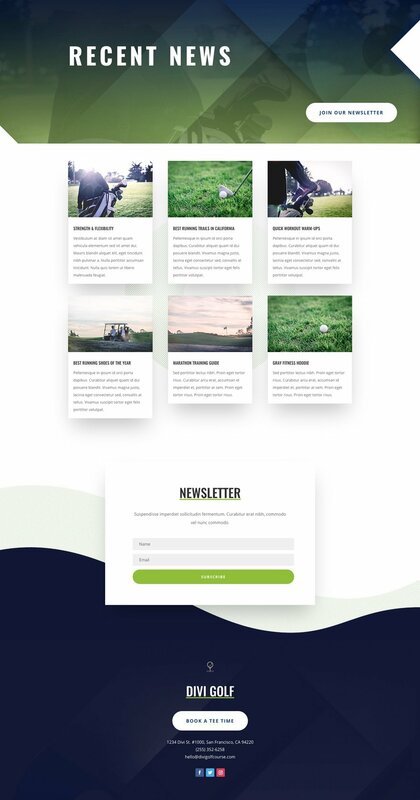 Make everything green and add some pictures of a golf course and all of a sudden you have a “golf Course layout”… Seriously…? This is why you are not too busy with clients to be writing blog posts and ‘churning out’ free layouts. *sidenote to Elegant Themes: Can we have some “themes” please, or more improvements to the only theme you are interested in? Thanks. 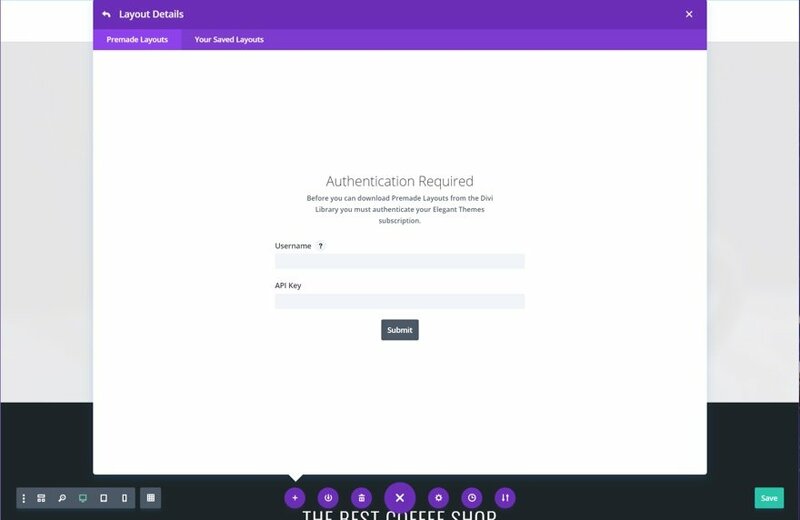 I agree with Jan, there’s a fonction i’d love to see coming is to be able to put attachments on the forms… That’s something i’ve been missing a lot in my websites 🙂 shame ’cause the rest of what u guys do is just AMAZING! how do I download the json files for this layout? I’m a member. I’ve installed DIVI on a few sites, but the one thing I don’t want to do is having to go to those sites in order to access the new layouts. The sites are functioning and DO NOT need the new layouts. 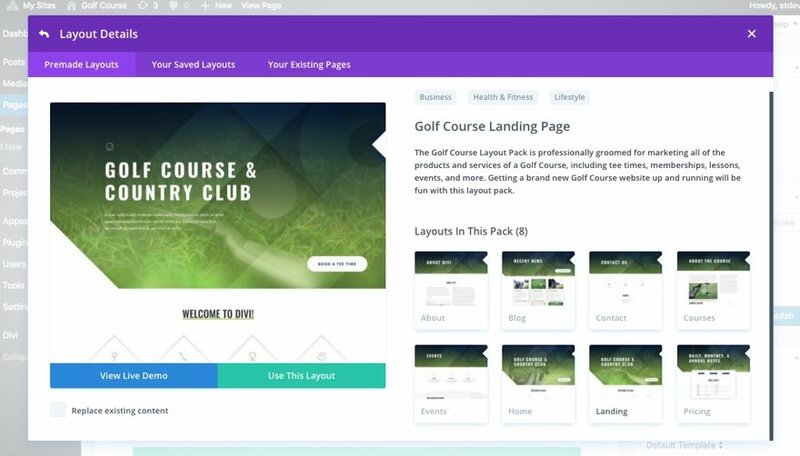 I’ve been going around your site and just can’t find any way to access the layout without being into an existing site with Divi Builder. And if not, why in heavens would you force us to download stuff on existing sites instead of directly to our computer so it can be installed on new sites???? 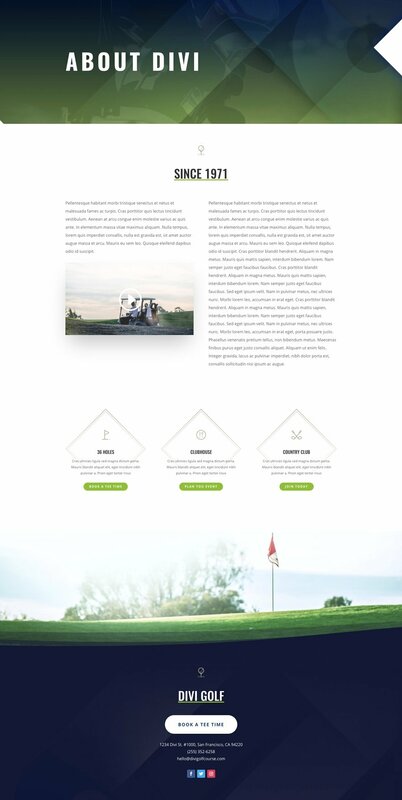 This is awesome layout for startup business pretty much optimized and landing pages are at its perfect! But I’m not sure enough that its gonna safe or not! What do you think? 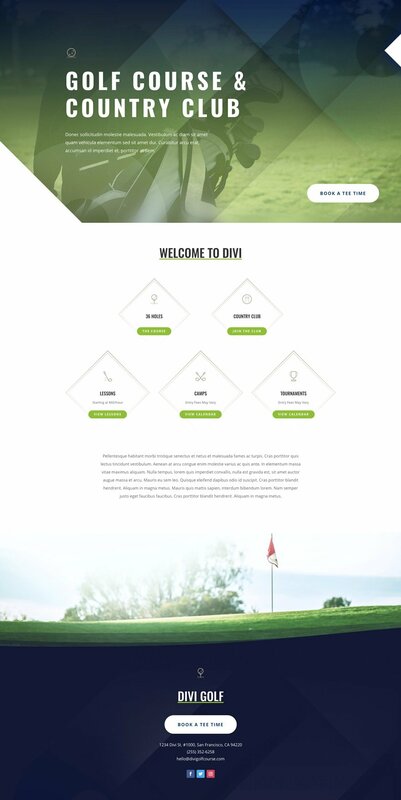 Divi is one of the great visual builder to build website. Best for beginners and very easy to use.